This is potentially the biggest and most costly mistake you can make. Generally, you will be classed as an Australian resident if you’re overseas temporarily. If you are a non-resident – so you plan to live and work abroad permanently – you may not need to file a tax return, unless you have Australian income. Use accurate figures when filling out your tax return, not estimates. The ATO will check the figures you’ve entered against sources, and even an estimate that is off by a few hundred dollars could catch their attention. Even though you may not be taxed on it, you still need to declare any foreign income if you’re an Australian resident for tax purposes – even if tax was deducted in the country you earned it. You should claim income that you’ve earned from any property you rent out each year. If you only rent it out for part of the year, make sure you adjust your deduction claims based on how long the property was rented out for. If you don’t have receipts for your expenses, you can only claim up to $300 worth of work-related expenses. 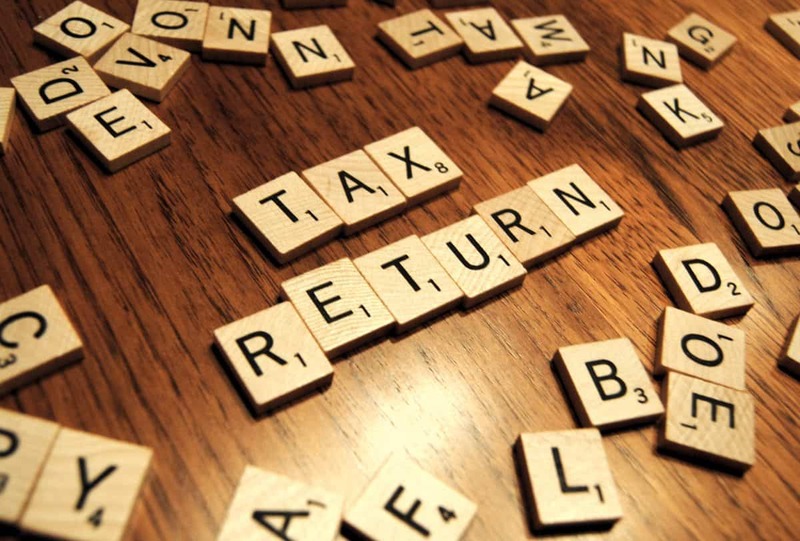 For everything you put on your tax return, ensure you have the evidence to back it up. Use a folder with labelled sections to keep yourself organised and save yourself last minute stress. If you’d like the peace of mind that comes with having your Australian tax return completed by an expert, contact Expat Tax today. As expats ourselves, we understand the complexities of your situation and can ensure you stay on the right side of the tax man. Im planning to leave australia and work online abroad. i sell goods in australia, i also buy from an australian supplier. I already have a quote for $1500 from another non-residency expat tax expert who also specialises in HK company structure setup. The $1500 does not include the HK setup structure, so there is more costs after the initial $1500 which i believe is just for advise and a setup ‘kit’. He was recommended by a friend though, but i thought i would ask around to see if i was getting ripped off or something. Please get back to me thank you. Thanks for your message – there’s definitely quite a bit to consider. Accordingly, I’ll send you an email so that we can have a quick discussion offline. I am considering an offer of employment in Saudi Arabia with an international company as an ongoing employee. The initial plan is for my wife wants to stay in our house in Australia and visit me in the school holidays as she is a teacher. My daughter will be starting university next year in Australia. Assuming I will not qualify as a non-resident for tax purposes as the house is in both our names and my wife will remain here? Any advice would be greatly appreciated to help decide on job offer. Just on the face of it, it looks as though you’re residency status is indeed likely to lean towards Australian tax residency, however, it’s impossible to state this definitively based on the little information that we know. When attempting to determine a person’s residency status for Australian taxation purposes, one must first assess ALL of the facts and circumstances of a taxpayer’s life, and on balance, residency or non-residency will be determined based on the weight of factors. Accordingly, I can’t really help you through this forum sadly, as we really do need to run through all of the facts and circumstances of your life. We’d also need to run through the structure and details of Australia’s residency rules and we’d then need to apply those to the facts and circumstances of your life. Only then would we be able to make an assessment as to your residency status for Australian taxation purposes. Finally, I wish I could have been more help to you here however we simply don’t have enough information to go on. Thanks again for your question though, and if we don’t get an opportunity to speak in person, sincerely, I wish you the best of luck with your decision, and potentially your relocation to Saudi Arabia. I am trying to work out the apportion of discount I can apply to my one CGT Event where I sold my house. I have no losses coming forward. I Bought it 01/07/1995 and lived in it until I rented it out on 01/10/2003. I sold it in 01/03/2018. I have worked out that my current year’s capital gain is $132348 after applying the 6 year rule exemption. I left Australia in 2003 and have never been back and so I am classified as a foreign resident. I understanding is that I lost the 50% discount after 12th of May 2012 but was told I could get a discount for the period of renting between 01/10/2009 (After the 6 year rule expired) & May 2012. Can you tell how to work it out or give me the figure so that I can enter it into my tax return? This is the last thing I need to do to complete my TR. Thanks for your message. Calculating the net capital gain by factoring in the pro-rata CGT discount that you’re entitled to can be a little tricky, that’s for sure. Take a look at that as it should help you calculate the gain. If you are still having difficulties after that, feel free to reach out to our team at info@expattaxes.com.au as we’d be more than happy to assist.